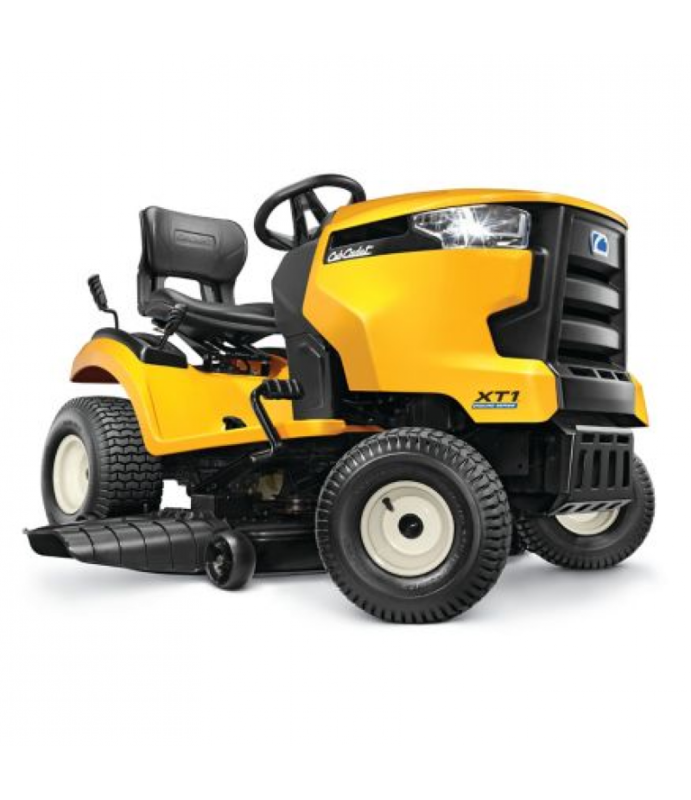 The Cub Cadet XT1 Enduro Series 46 in. 22 HP V-Twin Hydrostatic Riding Mower features category-leading strength, comfort and versatility. It's loaded with a 22HP Kohler V-Twin OHV engine for powerful performance and a hydrostatic .. The Cub Cadet XT1 Enduro Series 46 in. 22 HP V-Twin Hydrostatic Riding Mower features category-leading strength, comfort and versatility. It's loaded with a 22HP Kohler V-Twin OHV engine for powerful performance and a hydrostatic transmission drive for smooth and simple operation that eliminates the need for shifting - just push the pedal and go. The Signature Cut 46 in. deck and 16 in. turning radius can maneuver around obstacles with ease, and the sloped adjustable seat and soft comfort-grip steering wheel provide the ultimate in handling and comfort.